I'd like to show a few games this month that might not get as much exposure as the standard Halloween games. Dr. Chaos, developed in 1987 (post Super Mario, when everyone should have known better) by Marionette and published the following year by FCI in North America. I won't say it's a good game, but I was always enchanted by the cover art as a child. Upon startup you are greeted by the spooky mansion of DR. GINN CHAOS, a madman who has apparently unleashed a hell of some sort through "warp zone" experimentation. 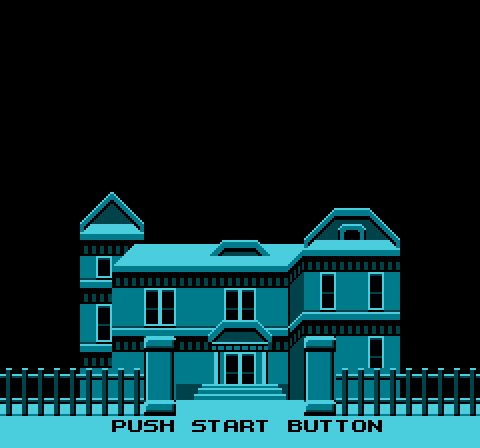 The black screen and monochrome house is striking, though a few seconds later it's joined by the game's logo in all its drippy Halloween font splendor. 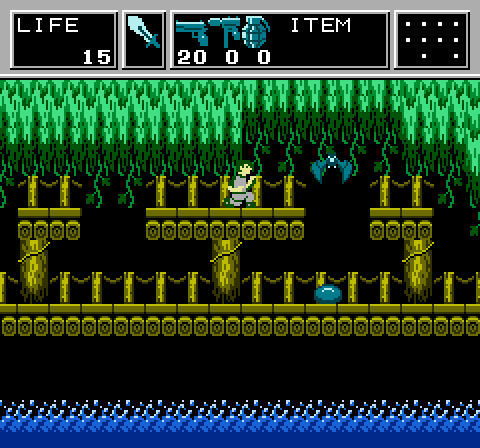 This game made no sense to me when I first played it. 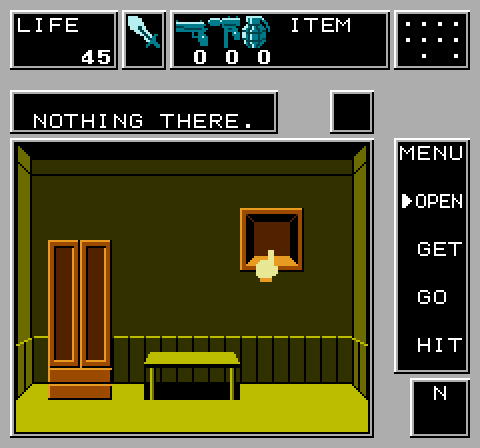 Predominantly a clunky and frustrating sidescroller, entering a doorway in the mansion would take you to a Goonies 2/Macventure style screen where you search for items and the entrances to the main point of the game, the Warp Zones. Biggest disappointment for 7 year old me? The guy in the game looks nothing like the baller label art. 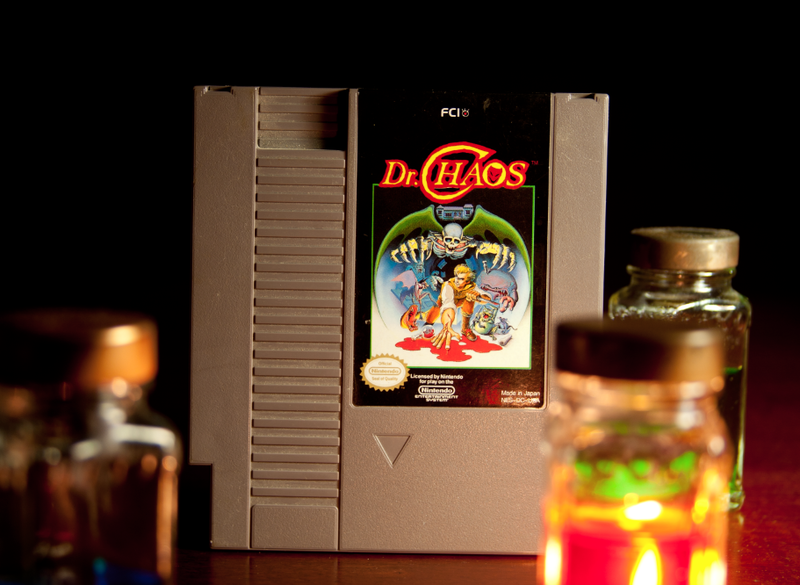 Can you help MICHAEL CHAOS find his brother and solve the mystery of the warp zones?? Thank you for the kind words! Taking weird photos of game cartridges is my passion, as always. For some reason I have two copies of this game...Dr. 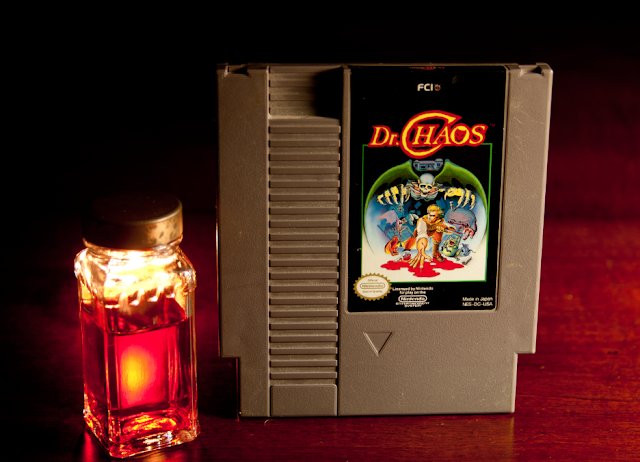 Chaos was so frustrating to me as a child but I bet we could figure it out now.